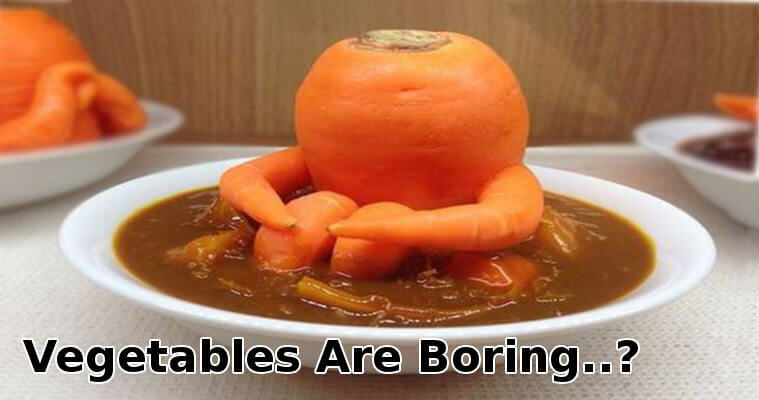 “Vegetables are so boring, they taste like nothing!” or “I just don’t like vegetables”. If that sounds like you then I’m here to help :-). We all want to be healthier, and we know that eating plenty of vegetables is the healthiest way to eat. But lots of people just find them very boring and bland in taste. So you are not alone! But there are lots of ways you can make them more tasty and interesting. Here are some tips on how to make your vegetables taste good enough to actually eat. Don’t boil your vegetables. They just soak up the water and this makes them taste too bland. Instead try grilling, stir-frying or roasting them. The difference can be huge. These methods will add far more flavor. You can use different oils too which can add even more or just different flavors. Try chilli oil, sesame oil and coconut oil. Put some herbs like rosemary in a bottle of plain old olive oil and infuse those flavors into it. The use of different flavored oils can greatly change the way the vegetables taste. Always start with aromatics when cooking vegetables – these are onions, shallots, and garlic. To get the best flavors from aromatics cook them slowly, this will also bring out the sweetness and cut the sharpness of onions. Once these are cooked you should also try seasoning to add to the taste. It’s traditional to use salt and pepper to season vegetables. If you’ve been eating plain vegetables without any seasoning, a light sprinkle of salt alone might change your mind! (Don’t be afraid of salt – our bodies do need it – just avoid those processed foods that are packed with high levels of salt you don’t see!). However, also try and experiment with different herbs and spices. You can use dried but try out fresh herbs too as the taste is often a lot better. Some vegetables are best paired with certain herbs and spices. Squash, pumpkin, and sweet potato are well matched with cinnamon and nutmeg. Peas are well matched with mint, thyme, and lemon. Carrots and beets are well matched with cumin. Potatoes and parsnips taste good when roasted with rosemary or honey. The flavors in some vegetables are known to get stronger as the plant matures. Due to this, the young of some vegetables will have a wider profile of taste and be less bitter with the same health benefits as the older versions. Barbara Klein, Ph.D., Professor emerita of foods and nutrition at the University of Illinois states that “younger vegetables are more tender and require less cooking” which helps to give a better taste. So next time you go to buy vegetables try out the ‘baby’ versions and experiment with those. If you don’t like the taste of raw vegetables why not try to eat them with healthy dips such as hummus, guacamole, greek yoghurt with dill, cucumber dip or spicy salsa. Eating raw vegetables as a snack instead of with dinner may make it seem like less of a task to eat them. And that crunch of a fresh carrot stick can be a healthy substitute for potato chips when dipped in a spicy tomato salsa! Just avoid those salsas that are loaded with sugar – it’s quite easy to make your own! This one is for the cheese lovers. Another way to make vegetables taste better is to add cheese. Now you still need to keep this healthy so don’t go crazy! Try moderate amounts of cheese sauce (great with leeks, broccoli or cauliflower) or mozzarella. Grate over some real parmesan cheese (not that nasty sprinkle stuff – buy Parmigiano-Reggiano for the authentic best flavor). Or crumble over some fresh feta cheese. Cheese really can make your vegetables or salads tastier and less boring. You can also add nuts or seeds which gives an interesting combination of texture and flavors. Try almonds, walnuts, pistachios or hazelnuts. Also pumpkin or sesame seeds. Toasting these gently (in a frying pan without oil) for a minute or two really brings out their flavors. Then sprinkle over your veggies with a drizzle of extra virgin olive oil. If you do normally boil (or steam) your vegetables then another way you might like to try out is blanching. This technique is used a lot by the Chinese – which is why they consume a lot more vegetables than most other nations. Blanching is when vegetables are steamed or boiled very briefly, just 30-60 seconds. Then they are removed from the heat and dropped into cold water. This stops the cooking process from going any further and keeps vegetables colorful and fresh tasting, but does take away some of the bitterness. Note: don’t leave them sitting in the cold water for long. “Life is too short to stuff a mushroom…” – maybe reserve this one for when you have more time to cook, or for special occasions. But stuffing vegetables with fillings can make amazing combinations and tasty complete meals in themselves. Vegetables that can be stuffed include artichokes, bell peppers, mushrooms, tomatoes, zucchini, and squash. These can be stuffed with rice, quinoa, mushrooms, spinach, mince, onion and many other things. Mix in herbs, top with cheese and grill! If you enjoy the sharp vinegary taste of anything pickled, then there is a whole world of pickled vegetables you can try. Pretty much anything can be pickled from gherkins (which are just small cucumbers) to beetroot, bell peppers to green beans, even brussels sprouts and okra! Then there’s the slightly different side of pickling where you ferment vegetables like saurkraut. It’s really tasty, very good for your gut health, and is really just pickled cabbage. You can always try pickling your own vegetables too as it’s really easy to do. You can do quick pickling which is also known as refrigerator pickles. To make these the vegetables are pickled in a vinegar, water and salt solution and stored in the refrigerator. However quick pickles will not have as deep a flavor as fermented pickles, and also need a few days in the brine before eating. Another way I have found to make vegetables taste good is to blend the raw vegetables and make them into a smoothie or juice drink. Now, this may not sound so good at first. But once you mix with some fruits (tried durian fruit yet? ), fruit juice or low-fat yogurt the taste can be amazing. There are some amazing recipe combinations you can create. It is also very nutritious to drink them raw like this. So if you find vegetables too bland and boring, get stuck in with these tips. You’ll soon find the right ones for you, and be eating far more vegetables than you ever did – and enjoying them too!